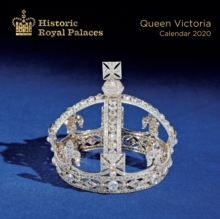 The sharp, detailed photographs of the Crown Jewels in this volume evoke a nerve-tingling sense of great history brought close. Consider The Black Prince’s Ruby from the Imperial State Crown, and the imagination is immediately alight. Anna Keay traces the story of the jewels, crowns and artefacts so intrinsic to the splendour of British state ceremony and pomp. Gebonden, Engelse taal, 204 pagina's, afmeting: 32.6 x 27.8 x 2.4 cm.